One area that we explore in the Sherman Centre is the utility of 3D printing for modeling and replication. We currently have three printers–a Lulzbot Taz4, an Ultimaker 2, and a Makerbot Fifth Gen Replicator–that our staff and researchers are finding new and creative ways to exploit. 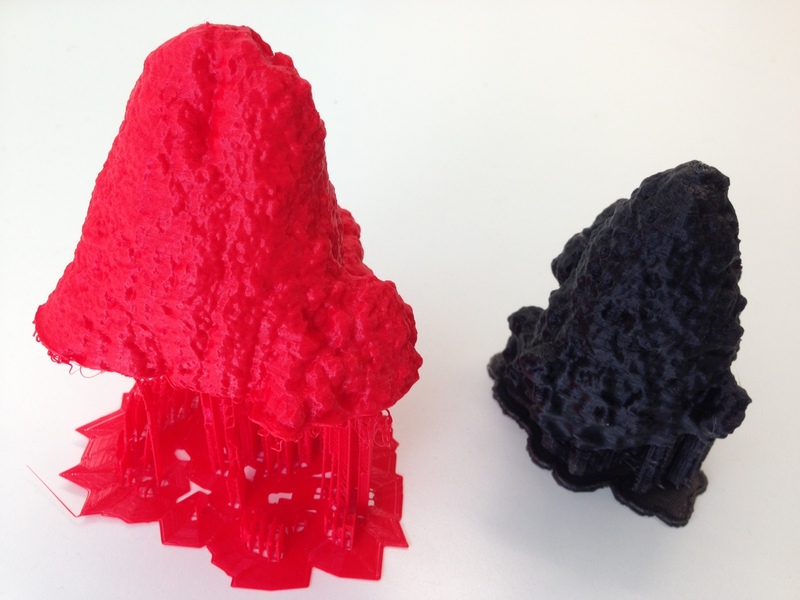 One example is work done by Mark Belan, a Sherman Graduate Fellow and our resident astrobiologist, who used his phone, some free CAD software, and our printer to create models of microbialites, which are the rare and valuable objects he studies. While they might look like bumpy blobs of plastic to most of us, they have captured the interest of Mark’s advisors and colleagues, who are now interested in exploring potential uses of these models to facilitate their research. 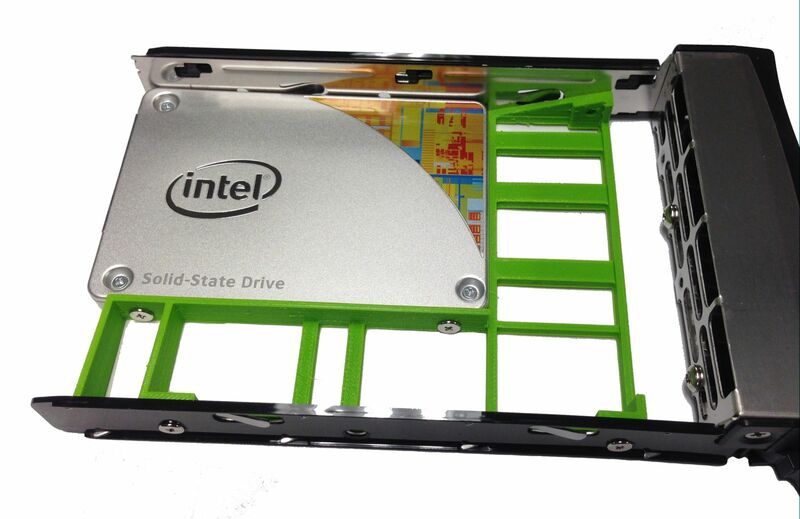 Another more practical example was fabricating a drive tray adapter to allow us to use 2.5″ SSD drives in a new server we purchased. While it’s possible to purchase adapters, they can be expensive and also make the existing 3.5″ drive tray superfluous, a waste of perfectly good plastic and metal. Roger Periard, a member of the team building the server, found an ideal model online and fabricated two of the adapters on our Ultimaker. A common question when people see or hear about our printers is, well, what are they good for. As Roger, Mark, and others are demonstrating, they are as good as our imaginations. ‹ Two Upcoming Sherman Centre Colloquium Events!